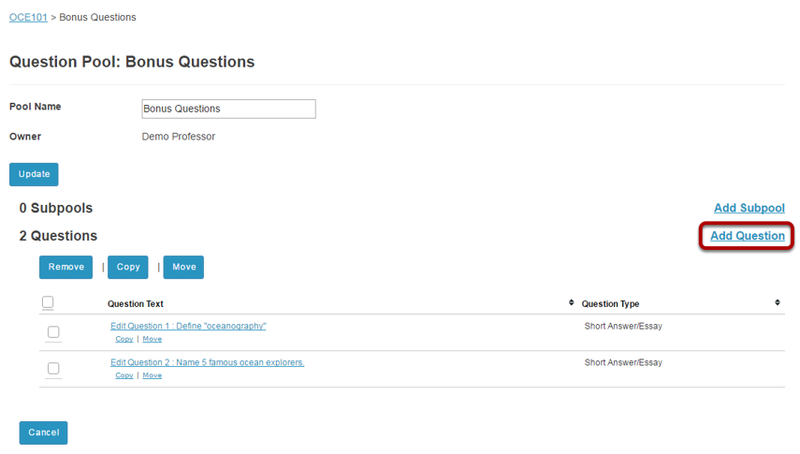 Instructor User Guide Tests and QuizzesHow do I add a question to a question pool? A question pool consists of questions developed in advance and saved for use in assessments. Select the pool that you wish to augment by clicking on its name. You will see the question pool details, and links for adding subpools and questions. 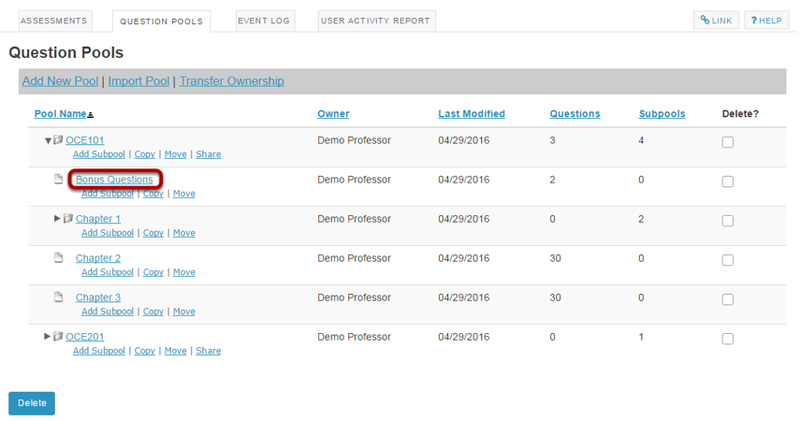 In the Questions section, click the Add link on the right hand side of the screen. 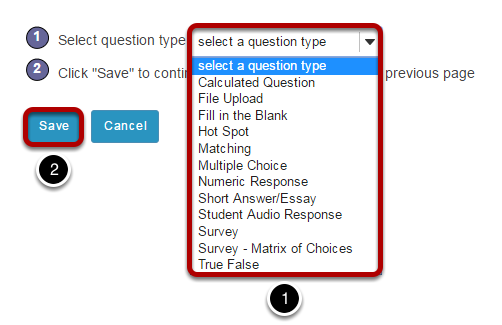 Create a new question by choosing its type. Select the type of question you want to add. Prev: How do I add, copy, move, or delete a question pool? Next: How do I copy questions from the question pool into an assessment?